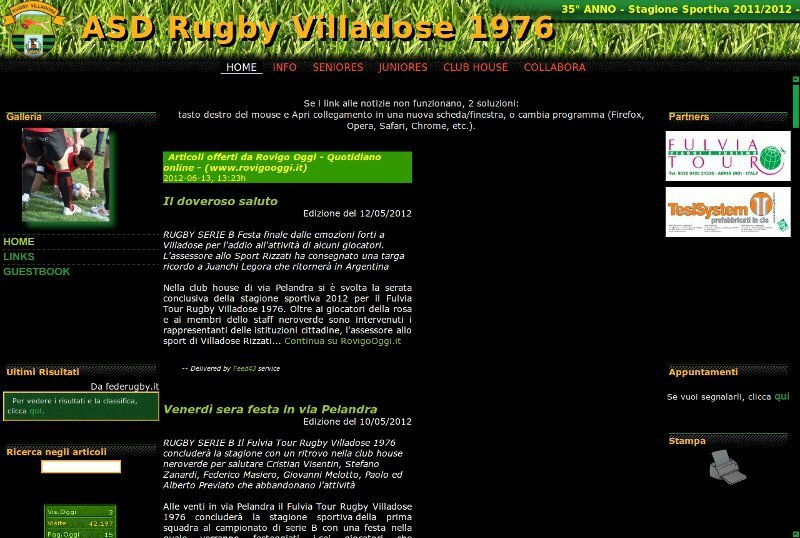 In the past I edited and updated for free, the ASD Rugby Villadose 1976 web site, firstly as a player in the 2003/2004 Season and then as a simple freelance in the odd moments. 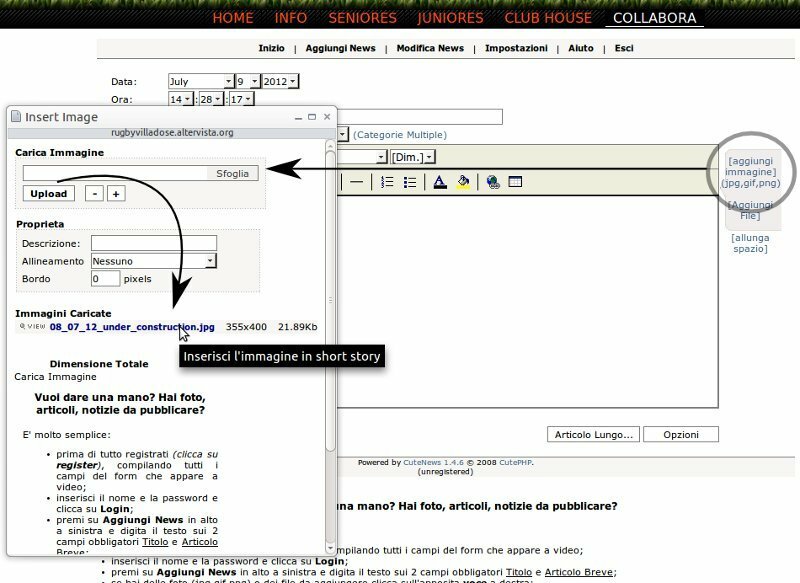 Until the 2008/2009 Season I was able to keep it updated with the help of good assistants, after this Season without any helper, I used two clever tricks to automate its updating: catching the articles published by RovigoOggi.it, as you can see here (maybe I will show you in details how I did). 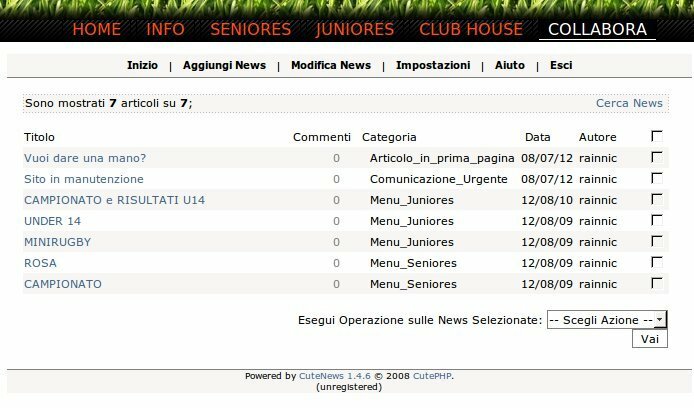 I had no intention of changing this situation, but the annual meeting of "Fioi de Gianni e Nane" rossoblu vs "Quandocheggiocavoio" petrarchini was in Villadose rugby facilities! In that occasion I have seen my old field and the enthusiasm of many kids, parents and managers that were preparing the conclusion of Sport evoluzione naturale del gioco. I liked this movement and teamwork, so distant from the professionalism showed off by seniores team. Today there are yet people that spend their free times for sons, relations and friends. 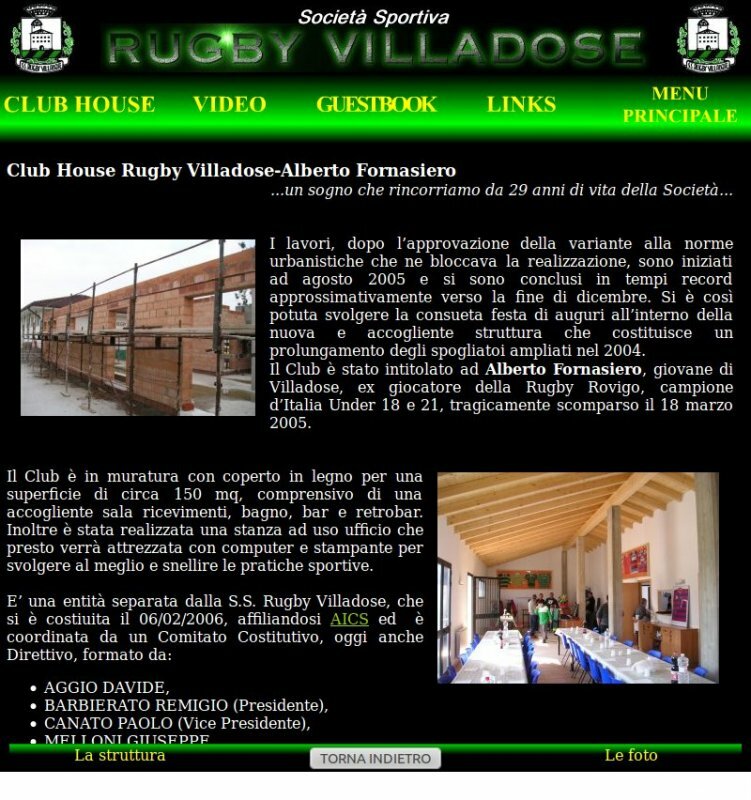 I met the new coordinator, Pierangelo Mazzetto, and though the first impression was no good (but that night I drunk many beers), I decide to fix the old site of the Rugby Villadose and give to him a valid tool to promote in the web the activities of the Company. 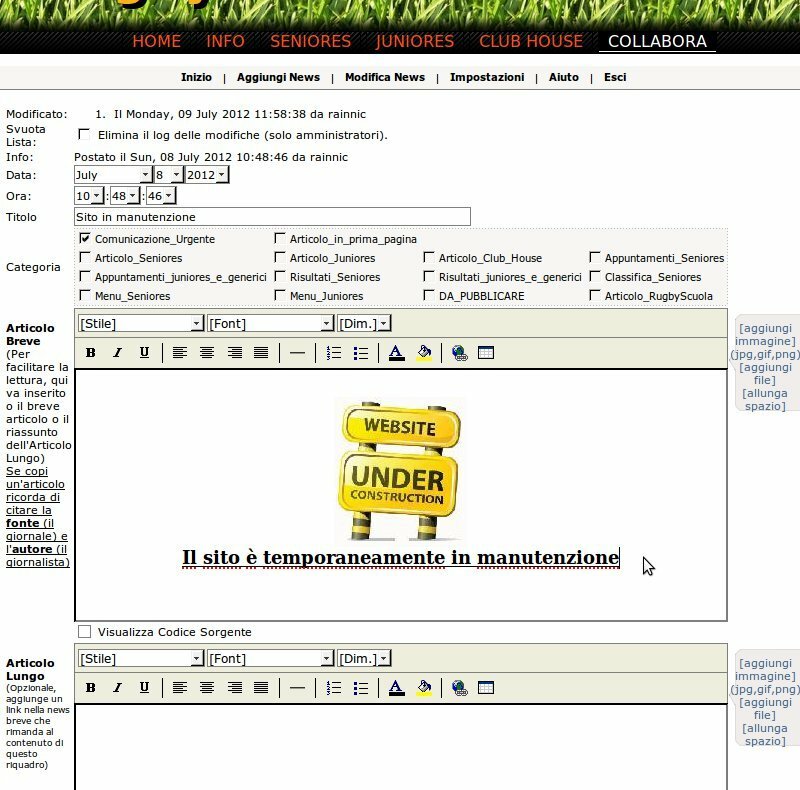 I think that this small and obsolete web site can still be a valid tool for promoting and inform and I hope that enthusiasm and passion seen in the Villadose facilities, could make it more full of news and informations.